They say lightning doesn’t strike twice in the same place, but don’t tell that to Gary and Stacey Kinler. 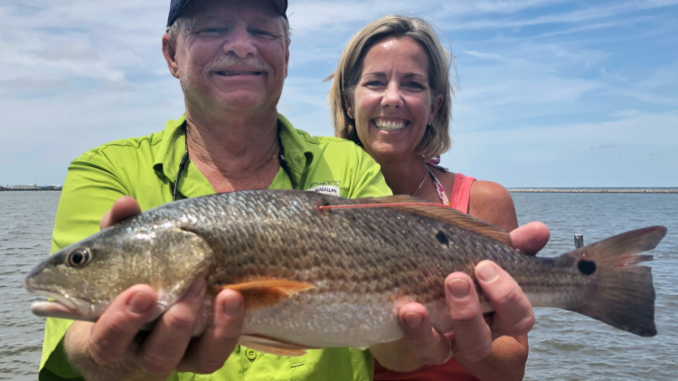 In July of 2014, the couple was fishing near Elmer’s Island when Stacey reeled in a CCA STAR-tagged redfish. Unfortunately, the longtime CCA supporter simply forgot to register for the tournament that year — and it cost her a brand new Chevy Silverado pickup truck. “The day before, we were in the same spot, the same cut, and I caught the majority of the reds, and it was his birthday, so I brought him back the next day and said, ‘You throw where I was catching them yesterday,” Gary explained. “And I just tossed off to the side, way to the left to get out of his way, and lo and behold, I got a good smack. Sure enough, almost four years after Stacey’s missed chance at a truck, Gary was registered, and pending a polygraph is now in line for a 21-foot NauticStar with a 150 hp Mercury 4-stroke motor. 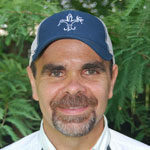 To top it off, Kinler also will receive the $10,000 Louisiana Sportsman bonus prize for being the first STAR-registered angler to catch a tagged red who was also a subscriber to the magazine. But that part of the prize package had Stacey nervous all day Sunday, wondering if she had renewed Gary’s subscription in time. So the first thing she did when they got to their home in Luling Sunday evening was check her paid bills. So Stacey might have missed out on the truck in 2014, but Gary looks like he’s all set for a brand new boat, plus $10,000 in cash. All in all, not a bad deal. Bryan Dorsey of Youngsville claimed the Chevy Silverado on May 27 after he caught the first tagged red for the 2018 STAR. Now the next three registered anglers who catch a tagged red will win a 21-foot NauticStar. After that, the next five registered anglers who catch a tagged red get a 1754 GatorTail Extreme Series with a 40 hp EFI motor. 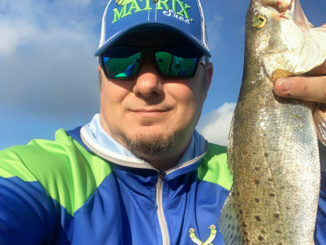 Tournament director Rad Trascher said one tagged red was caught by an unregistered angler near Marsh Island, so with two winners already just 10 days in, 97 tagged fish are still swimming across the coast. The tournament ends on Labor Day, Sept. 3. To register or check out the current leaderboard, click here.